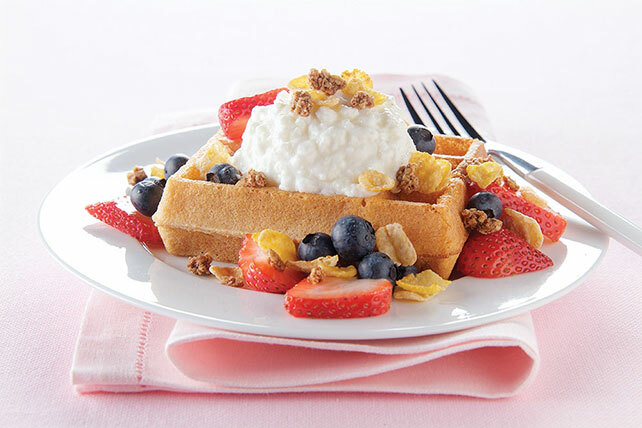 Here's how to dress strawberry shortcake on Sunday morning: swap out the cake for a waffle, add blueberries, honey-flavored cereal, and cottage cheese. Top warm waffle with remaining ingredients. For added flavor, garnish with a light sprinkling of ground cinnamon.